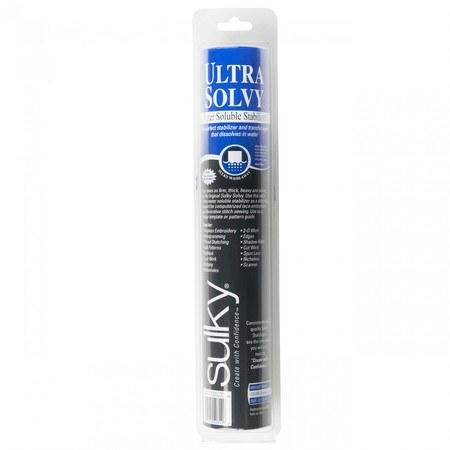 Sulky Ultra Solvy Stabilizer, 8yds x 12"
Sulky Ultra Solvy Stabilizer is four times as thick, heavy, and strong as the original Sulky Solvy. 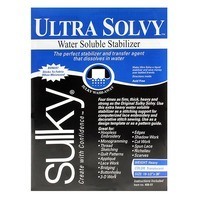 It's a firm, see through stabilizer that dissolves in water like magic! Perfect for hoop-less embroidery! 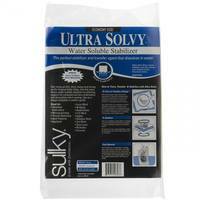 Customer Reviews for the Sulky Ultra Solvy Stabilizer, 8yds x 12"